Posted in: Radio Control, Team Orion. 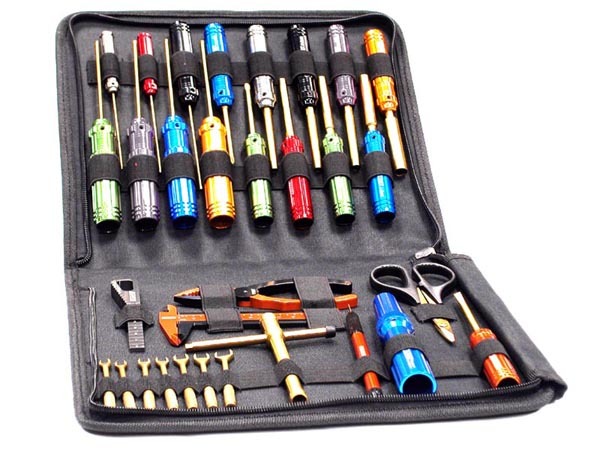 Tagged: Accessories, Battery Chargers, New Releases, RC. Have you been considering a new charger? If so maybe you should check out the latest offering from Team Orion. Their new AC/DC Touch Duo charger has a 200W integrated power supply that offers the possibility to charge two batteries simultaneously with a charge current of up to 10A. The charger also has a USB connector for firmware upgrades as well as two temperature probe connectors. Charge, discharge, cycle, storage and balance functions. 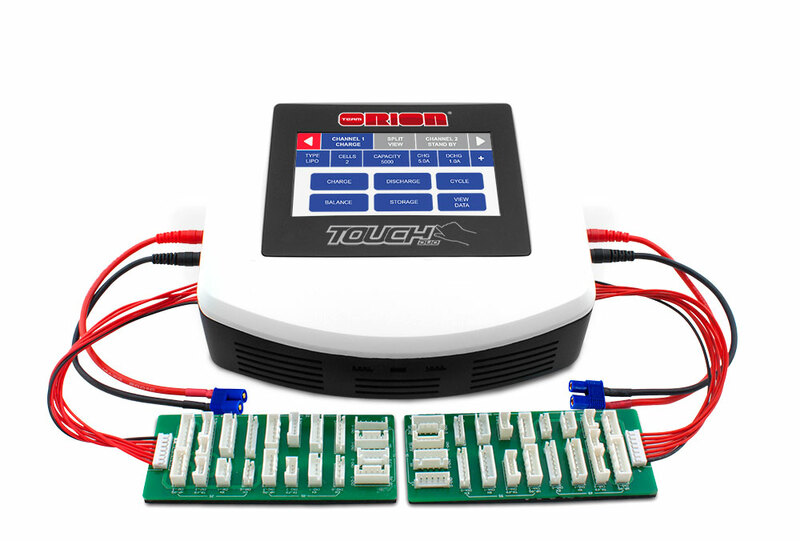 Check out Team Orion AC/DC Touch Duo Charger for more details. Posted in: Radio Control. 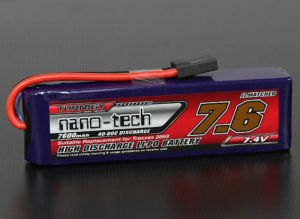 Tagged: Battery Chargers, New Releases, RC. Dynamite has announced three new entry level chargers. All of them are AC chargers and all are economically priced. 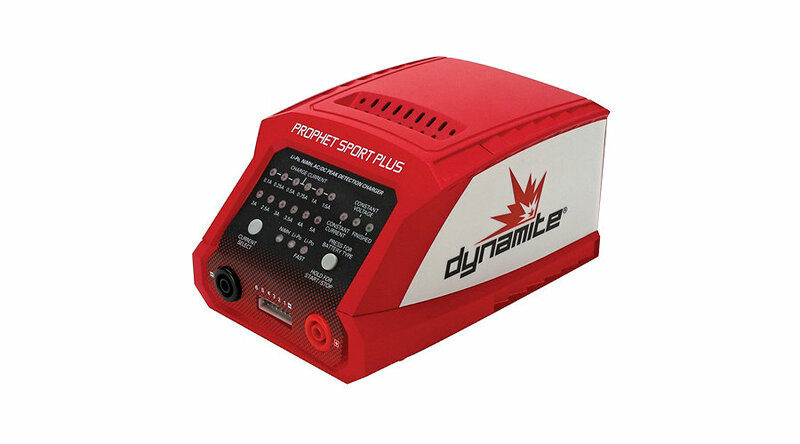 The Prophet Sport NiMH 35W AC Charger will retail for $29.99, the Prophet Sport LiPo 35W AC Charger will retail for $29.99 and the Prophet Sport Plus 50W AC DC Charger will retail for $49.99. All of the chargers are backed by a Dynamite 5-year warranty and are available for pre-order now from Horizon Hobby. Check out the video below from Horizon Hobby for complete details on all of the chargers. Posted in: Radio Control. Tagged: Batteries, Battery Chargers, Helicopters, RC. I have been using Lipo batteries for about 4 years and the lesson that I learned after the first year, was that if you don’t put your Lipo batteries into storage mode, you stand a real good chance of ruining them. I ruined 4 of my 5 batteries that year, a very expensive lesson to learn. Since then I have been putting my Lipo’s into storage mode for the winter season and I haven’t lost one since. I try to use my batteries weekly, so this is really the only time of the year that I will put them into storage mode. A fully charged Lipo battery causes damage to itself. The longer the battery is stored with a full charge, the more damage it will cause to itself. These batteries are designed for rapid discharge and not storage. 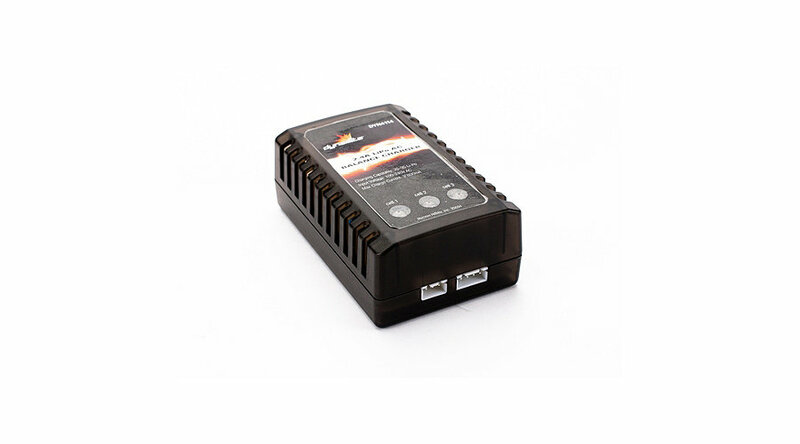 With winter rapidly approaching I thought now would be a good time to look into storing Lipo batteries and see if there has been any changes or advancements. I didn’t find anything earth shattering, but what I did find was a video from 2BrothersHobby which details the process and importance of storing your Lipo batteries for a winters nap. They did a great job with the video and I wanted to share it. Posted in: Horizon Hobby, Radio Control. Tagged: Battery Chargers, RC. 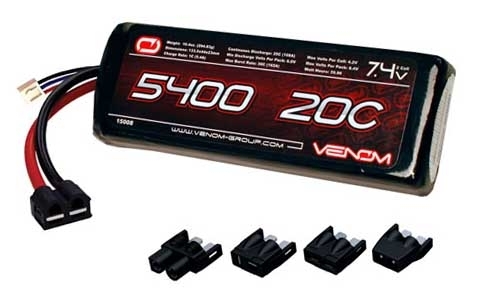 We wanted to follow up with an article we posted earlier “Dynamite Chargers Recalled“. Please remember this is for the Canadian market only. We now have a complete list of chargers involved and not all are Dynamite chargers. 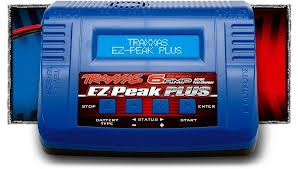 If you are affected by this recall you can go to Horizon Hobby Product Recalls for more details.